Let me say up front – I’m a rule breaker. 😀 Technically speaking, there are rules, also known as principles of good design, but if I don’t like a rule – I’d don’t follow it. Seriously. This is my home, not some designer rule setter’s home, and I’m going to do what works for my family and myself, whether it follows the rules or not. My #1 recommendation for you is that you develop the same attitude! However, with that being said, let me also say that although I’ll break a rule if I don’t like it, I do try to follow certain design principles. No matter what the latest trend may be, these principles have been around for a long, long time and they just plain work. RULE # 2: Build a strong foundation. I’m talking about space planning. For example, you may dream about having two sofas that face one another with a coffee table between, but that may not work in your space. I would love to do that in my family room, but while I do have the room to do that, it would not work for us at all. Careful and well thought out space planning may not sound like a fun thing to do, but it’s very necessary. 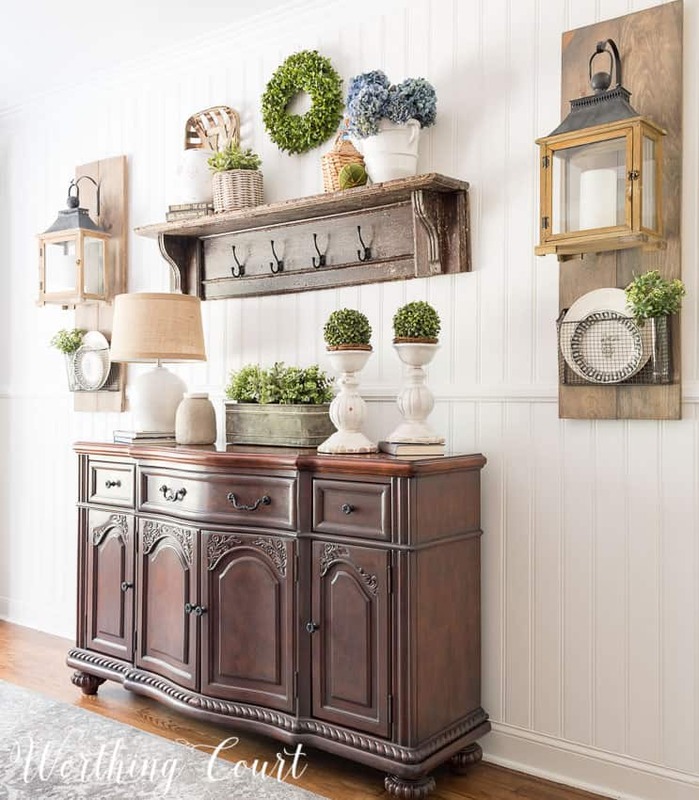 Not only will it allow you to utilize every nook and cranny in a room, which is especially important in a small space, it will both improve functionality and give off an impressive vibe! A) Measure your room and draw it out on a piece of graph paper. Measure each piece of furniture, that will be in the room, and cut out little pieces of cardboard or paper to represent each one. Keep the proportions of the furniture pieces the same as the proportions on the graph paper. Let’s say the squares on your graph paper are ¼” and that each square represents 12″ (or 1′) of space. When cutting out your pieces of furniture, if you have a chair that measures 36″ wide, your little piece of cardboard (or paper) should be ¾” wide. Make sense? Once you have your room drawn out and have your pieces of furniture, you can move them around on your graph paper until you come up with a furniture arrangement that you like. B) Measure the furniture pieces that will be in the room and use painter’s tape on the floor to represent each piece. This is a little more labor intensive, but I think it gives a better feel for how the pieces will work in a room. This method worked especially well for us when we completely gutted and remodeled our kitchen. C) Prefer to do your planning on a computer? There is a variety of free space planning software available on the web. Just Google, “free space planning software” and you’ll be presented with lots of options. RULE #3: Find your room’s focal point. This goes hand-in-hand with Rule #2. You can’t do a good job of space planning until you’ve determined the focal point of your room. I talked about this at length (with loads of tips!) in a Design Dilemma post that I did a while back. I highly recommend taking these tips into consideration when doing your space planning! Click HERE to read the post. RULE #4: Choose your fabric and rugs first. Some people will strongly disagree with me on this one, but I’m speaking from experience! Here’s my logic – paint comes in thousands upon thousands of colors. Shoot – you can even have paint custom mixed to match a particular color in your fabric. 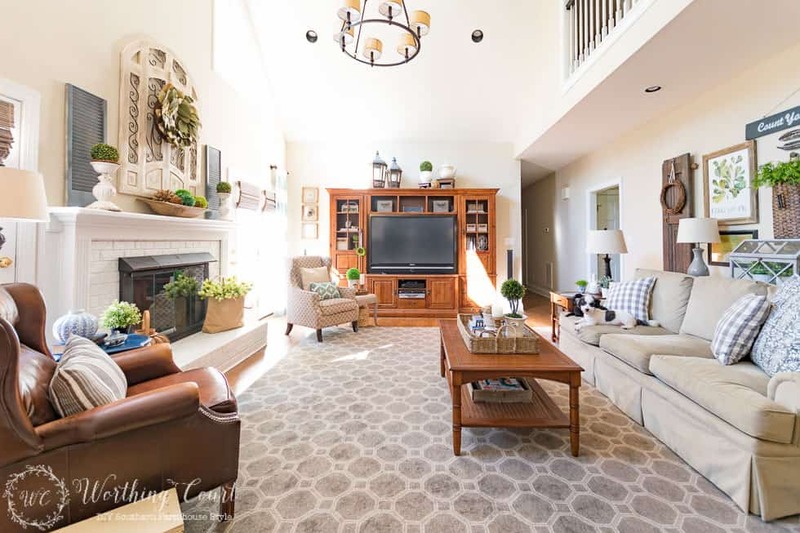 So…the reason that I take this step, before choosing my paint color(s), is that finding paint to go with a particular fabric or rug is a WHOLE lot easier than finding fabric or rugs to go with a particular paint color. 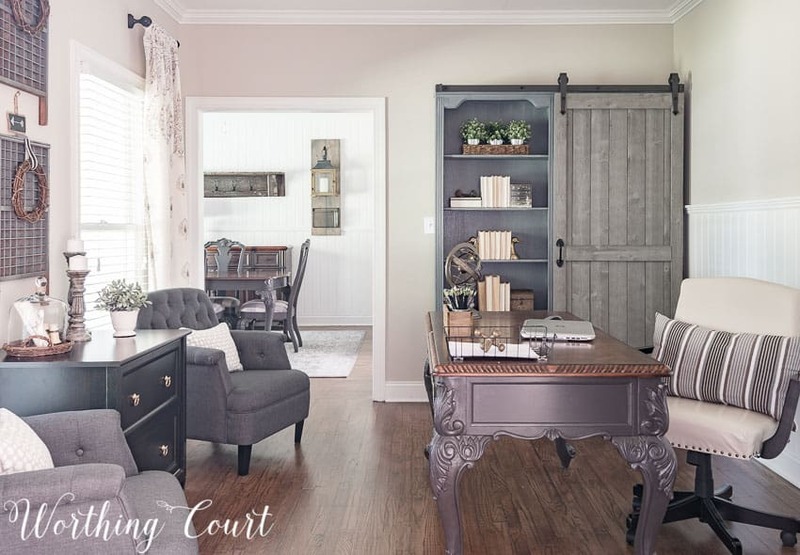 My rule breaker exception is this – if you are painting with a neutral color. Just be careful in choosing which neutral you use! All paints look different in different lighting situations, so it’s important to buy a test pot and try it out on several different walls in your home to see how it reacts. Most paint (even white!) has undertones of other colors in it. Ever seen a beige room that looks pink or lavender when the sunlight hits it? Yeah, that’s what I’m talking about. RULE #5: Just because there’s an empty spot, you don’t have to fill it. This falls into the category of less is more – but then again, it all depends upon your point of view. Many people prefer a very minimal look, so for them a lot less is more and that’s perfectly fine. That isn’t me at all though. I enjoy having pretty things in my rooms, but I do strive to strike a balance between too much and just right. If you’re like me and prefer to have lots of pretty things around to look at, just be careful not to go overboard or you’ll wind up with a room filled with so much stuff, your eye won’t know what to look at first. I’ve always heard that when you’re adding jewelry to your outfit, you should add what you think will look good and then remove one thing. So I guess, the rule of thumb is to edit, edit and then edit some more. For those of you who may be struggling, I hope that these tips will give you a place to start. Just remember – no matter which of these “rules” you decide to follow or to break, just be sure to follow your instincts and make your home your own! I am going to pin this post and re-read this everytime I start a project in a room. The kitchen is this spring. Thank you for inspiring me. Thank you for these common sense suggestions. Clutter makes me crazy so I am constantly editing. I love the candle holders on the buffet in the picture of your dining room. Do you mind to share where you found them? Hi Jeannie. Those candle holders came from Pottery Barn. Love your approach to decorating. I love Rule #1! Thank you for sharing these great tips. Fabulous tips Suzy. I love the use of the word “principles” rather than “rules”. I have found taking a picture of a room helps as well when deciding whether or not to add or take away decor items. Sometimes it’s good to take a step back and look at the overall feeling of the room. A picture helps tremendously. Thank you very much for these awesome tip!! I love your style!! Beautiful. “You don’t have to fill every space.” That is a GREAT rule to NEVER, NEVER break. Thanks! These are really great rules. The paint situation is one that I have had to deal with. I bought a sand colored paint which now looks lavender in the sun. And for some reason even when the sun is not shining on it, I am stuck with that image. 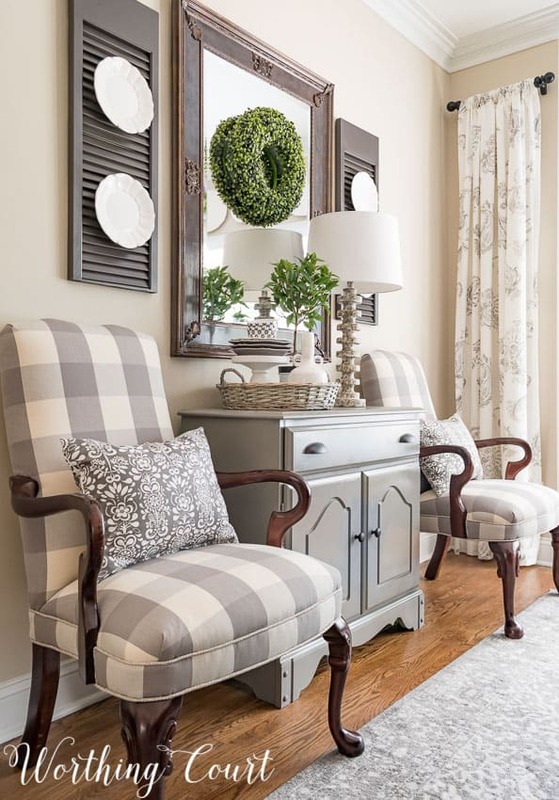 I love the fabric on your two buffalo plaid chairs. I’m looking for the exact fabric to recover an antique chair that was my parents. Can you share where you found it? Suzy, great tips! I, too, love to sketch and play with the paper cutouts before I assemble the room or part of the room! And I also agree that it is way easier and more practical to choose paint matching your fabrics than vise versa! Thank you for sharing. Your house looks beautiful and balanced! I enjoy having a lot of pretty things (that are also sentimental in my rooms also) so thanks for reaffirming that I need to keep that in mind when editing the different areas of my home. 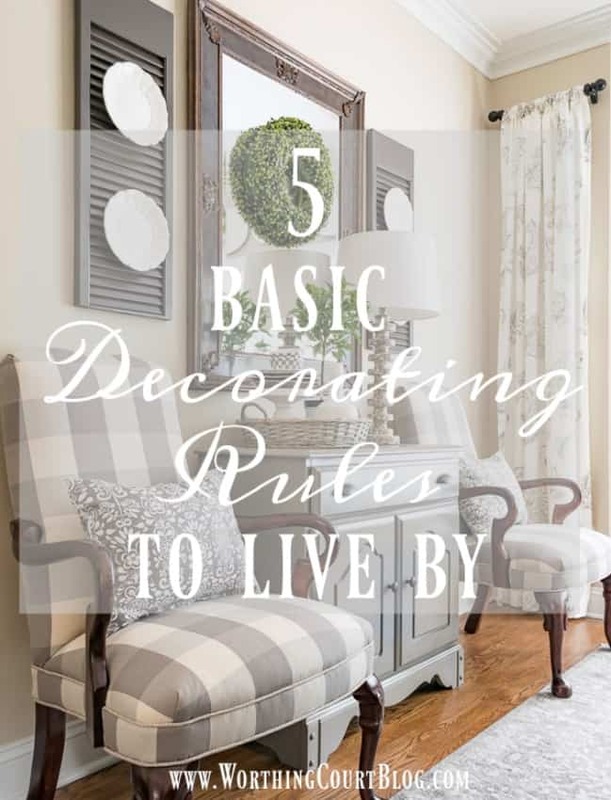 Love the rules , you make it easy to decorator you are very espiring. Thank you for the great tips! We just bought a new house, and are decorating room by room. This was just what I needed! Using graph paper to plot out furniture placement in advance was a lifesaver (or muscle-saver) for me when I was planning a room with a heavy furniture piece. My husband was grateful. I love your decorating style! I’m keeping this article to read before I tackle a room re-do. Love your living room, so inviting. Good basic rules to follow. Love the way you keep changing your accessories for each season! Beautiful! Can I get you to come decorate my house? Thanks for sharing at Over the Moon. Great home decor tips! I love seeing your beautiful home. Thanks for sharing at the Inspiration Spotlight party. Pinned & Shared. These are all great tips! I agree that if a rule doesn’t work for your space, it’s okay to change it up. Your home is lovely. Thanks for sharing at Snickerdoodle. We’ll be featuring this at today’s party. No. 1 is my favorite rule! I do measure and use painter’s tape when in doubt. Good rules of thumb! Great advice! I love your style! Thank you for the inspiration and advice. I really enjoy your blog! These are great tips and your photos are gorgeous! Pinned and sharing! Thank you for joining us at Family Joy Blog Link-Up Party last week. I hope you will join our next party starting Sunday at noon EST. Suzy, these are very sensible suggestions. And I love all the photos showing how you’ve implemented them in your home. It looks very warm and inviting. Hey, Suzy! 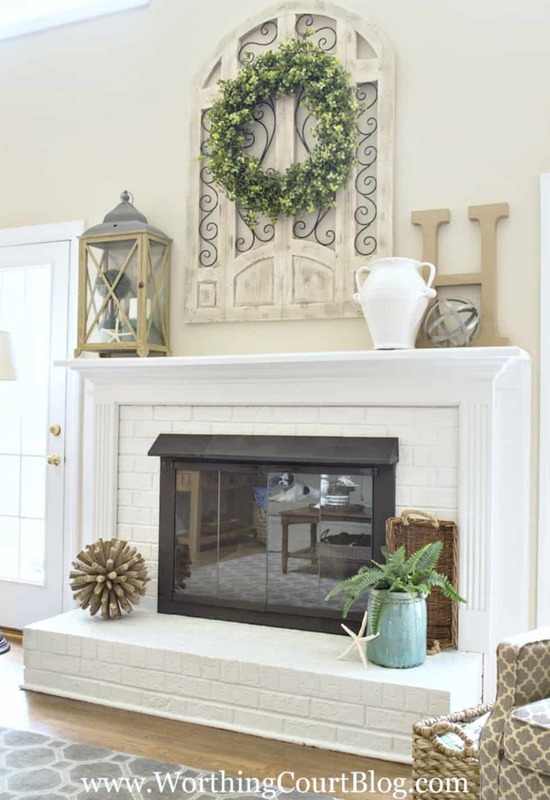 Just wanted to let you know that we loved your 5 Basic Decorating Ideas To Live By so much when you shared it at the #HomeMattersParty last week, we’ve FEATURED it THIS WEEK! Hope you can check it out when you get a sec. Happy Friday!!! Great rules. I love how you explain everything. Love the photos of your beautifully decorated home, too. Pinning for future reference. Thanks. What a great post! You have to know the rules before you can break them! I definitely agree with you on #4 ! Thanks for sharing ! Love your ideas. I tend to fill all the spaces- it is hard not too! Rule # 4- That makes a lot of sense. Keep them coming. Your home is beautiful. My favorite rule…Just because you have an empty spot, doesn’t mean you have to fill it. I very guilty of this…Sometimes less is more. I like this advice on decorating. I’m new to your blog and so excited about learning more. I think this is the best decorating I’ve seen so far! Thank you for Rule #2! I’m facing a sofa placement dilemma in an open space living area and two opposing sofas just wouldn’t work. So I will be using your space planning technique – Thanks again – Love your blog! This is truly helpful! I am in the process of deciding what to do for some decorating, and I get detoured very easily, and then end up with a mish mosh that wasn’t what I wanted. I love all of your ideas. Your projects all turn out just perfect! Continue to inspire us all!! !